We (Marty & Dawn) are very happy to report that our Authentic Blogger Facebook group page, and our sister blog here, The Authentic Blogger, have now reached enough of a level of saturation in the blogging world that we are beginning to get some very kind mentions in other blogs, various blog sites and groups. Because we're thrilled to know our efforts are appreciated, and also because we want to mark those important milestones in our history, we have created this new Header on the AB blog page, called News Clippings. We will, with the consent of the authors of any blogs mentioning us, post links here to share when we are mentioned in blogs, articles or anything else in the blogging world. 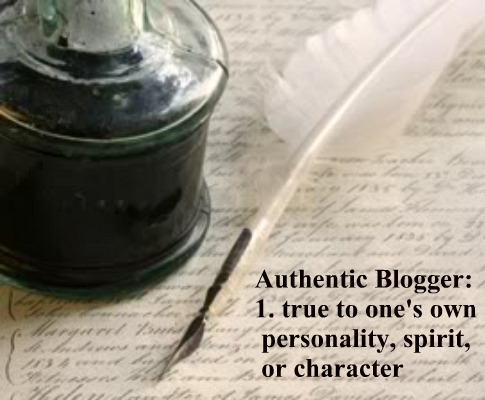 If you happen to run across anything of this nature, please contact us at authenticblogger@gmail.com and let us know! We'll make sure to investigate and post a link! This will garner attention and publicity for us, sure, but also for the authors of the blog posts/articles. Lastly, a very warm thank you to all of the people who have written about us, and a thank you in advance to those who may do so in the future. We both work very hard to make this community the best one out there in the blogging world, and appreciate that our efforts are garnering some attention.